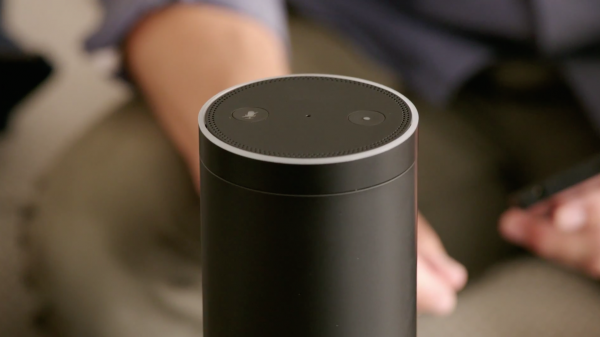 The Amazon Echo is a great device and I've made no secret of the fact that I use it a lot and like it very much. It's capable of doing quite a bit and more features come along all the time. We've witnessed, just recently, the addition of the game Jeopardy! as well as minor updates that didn't always go in favor of the users, but still improved the overall product. A new report, well really a rumor because Amazon hasn't confirmed it (and I tried asking), claims the company has plans for a portable version of the digital assistant. While a portable version would certainly be handy, and I'm keen to try it out, it's not at the top of my wish list. Here's what I really want the retailer to release. Perhaps you are familiar with whole-home audio systems like the one produced by Sonos or, as we recently saw at the Consumer Electronics Show in Las Vegas an upcoming product from audio maker Harman Kardon. This is where I'd love to see Amazon head in the future. Releasing speakers that are compatible with the Echo. Wi-Fi connected to the central device so that the extensions can create a whole-home audio system like Sonos has. This is absolutely possible, we're seeing more and more of these systems and the two we've mentioned are far from alone in this market. Is this in the works for Amazon? We don't know, the company is very tight-lipped about future products. Is there a market for it? Well, there is with me, and likely with others as well, and we know Amazon would make it affordable, where rivals don't exactly do so -- it's a high-end market for now.